My mates Steve and Jez of Rumble Motorsport (RMS) race an offroad race car in the Australian Offroad Racing Championship (AORC) and Western Australian Offroad Championship (WAORC). 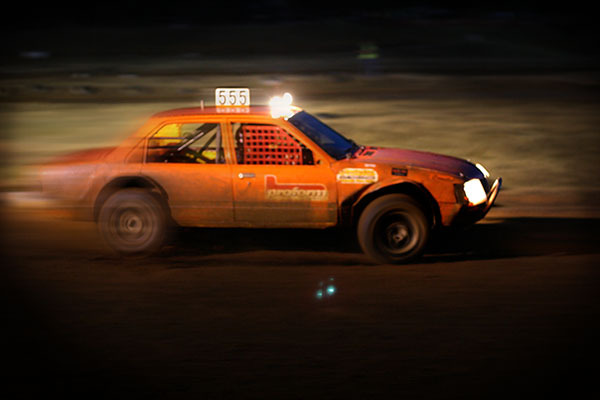 This is their 200kW Lexus 4.0L v8 quad-cam powered VC Commodore in a night race down near Harvey. The VC is their second race car and have since progressed onto a Full 4130 tube frame race car based on a Holden Rodeo wheelbase running a Supercharged (Sprintex) 3.2L Holden Isuzu all-alloy block.